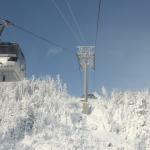 The eight-passenger Cloudsplitter Gondola carries you from the Main Base Lodge to the summit of Little Whiteface Mountain in fifteen minutes. 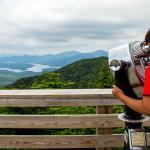 As you trace the mountain’s contours—soaring over streams, ski trails, steep rock faces and thick forests—the beauty of the Adirondacks reveals itself. 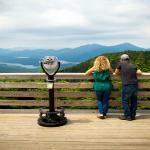 At the top, soak in the views of Lake Placid and the High Peaks Region from the observation deck and picnic area. Please note: The Cloudsplitter Gondola Ride and observation deck at the top of Little Whiteface are wheelchair accessible. This activity and many others are included with your purchase of an Olympic Sites Passport! Visit our website for more information on the schedule for the upcoming Summer 2019 Season! 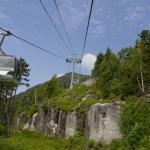 Discover more with the blog, A Gondola Ride up Whiteface.